I've been snooping around documents from Alabama in the Great Depression and came across these amazing photographs of Birmingham in the 1930's. 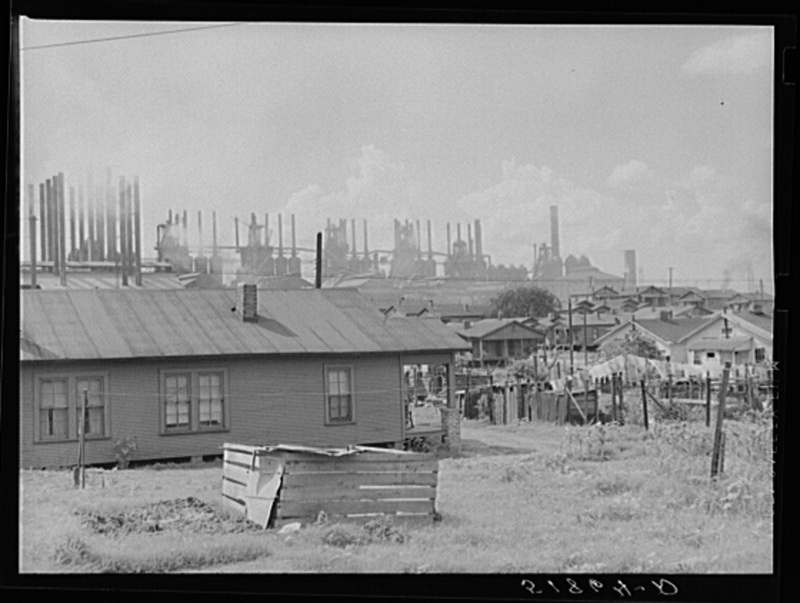 Life among the steelworkers and miners, black and white, must have been difficult. 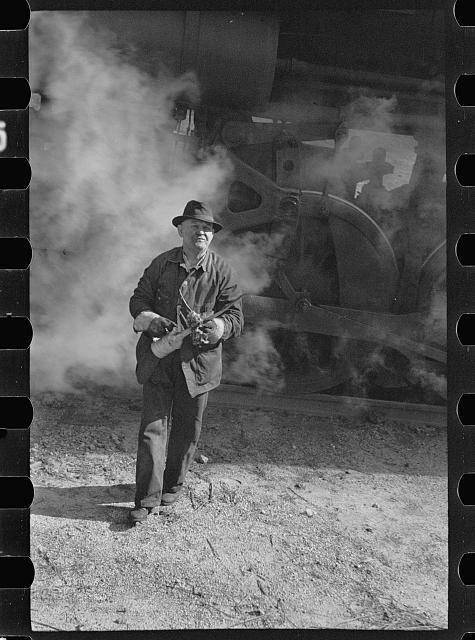 Fortunately, New Deal programs sent photographers down south, like Walker Evans and Dorothea Lange, to record life in the South at this time. 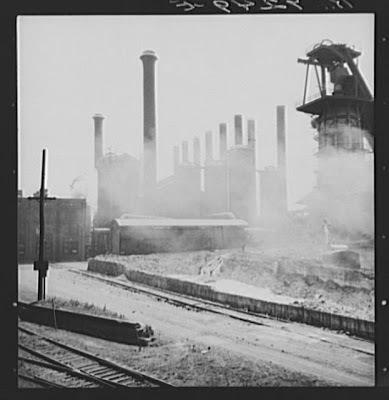 ...the "valley of the furnaces" was another world in the making. 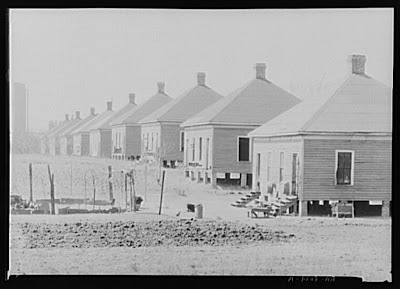 Thousands of landless farmers from the surrounding counties, particularly blacks, were rapidly drawn into the orbit of industrial production. By 1900, 55 percent of Alabama's coal miners and 65 percent of its iron and steel workers were black. 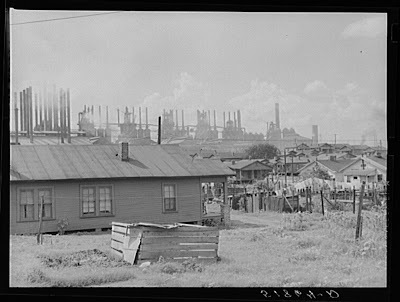 Overall, African-Americans made up more than 90 percent of Birmingham's unskilled labor force by 1910, thus constituting one of the largest black urban communities in the New South. 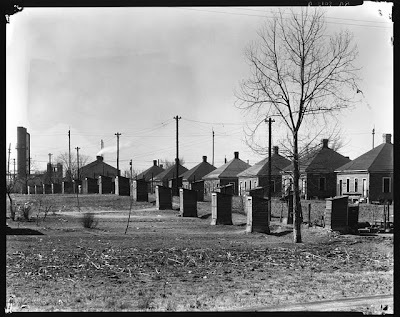 By 1920 over 17,000 workers lived in homes maintained by various industrial concerns and ranging in quality from well-constructed wood-frame hosues to shoddy dwellings of board and batten construction. 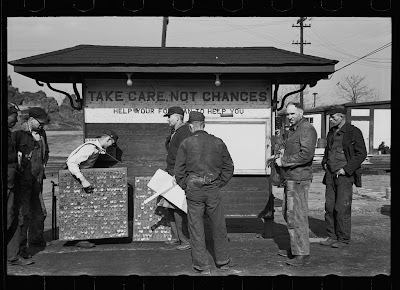 Here are some photographs from that world, all with most grateful thanks to the Library of Congress. 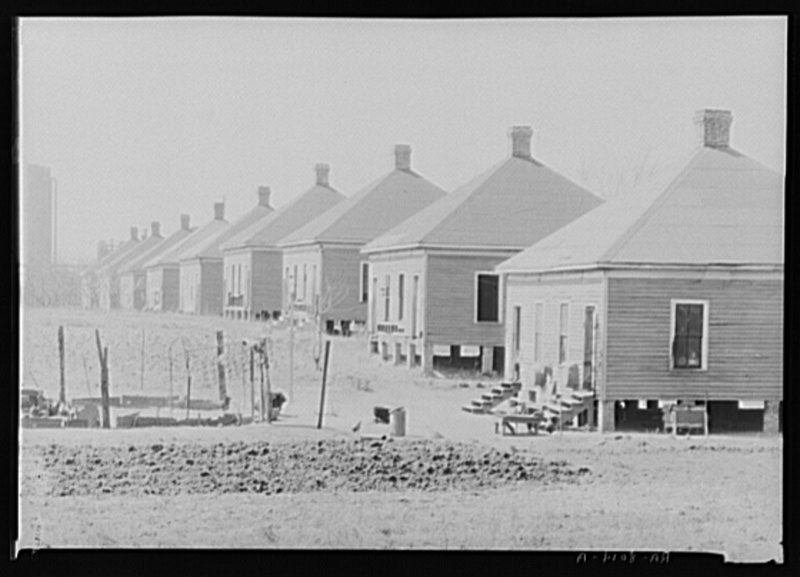 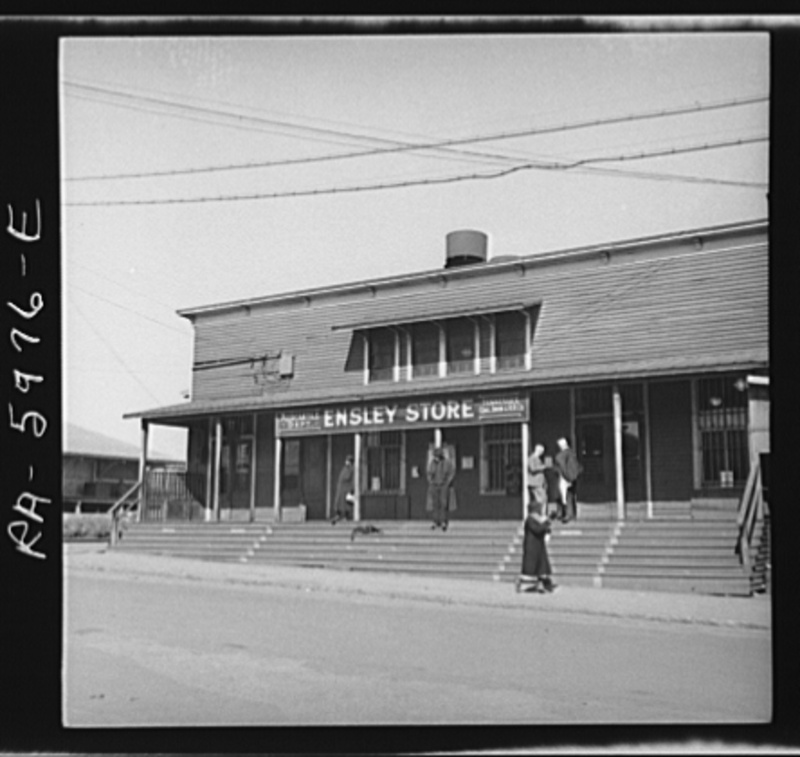 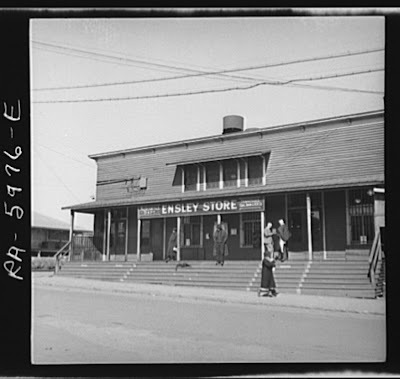 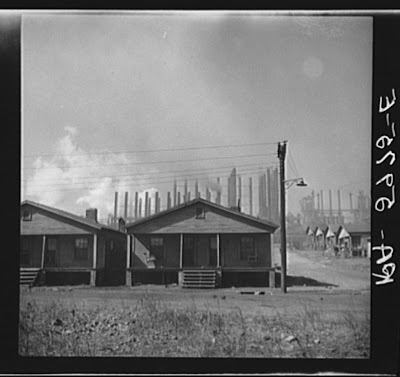 Birmingham, Alabama, March 1936, Walker Evans. Republic Steel Company, March 1936, Walker Evans. Alabama Coal Miners, Birmingham, February 1937, Arthur Rothstein.